Let your true self soar in Painted Bird Shoe whether for work, play, or just a day around town. Easy to throw on and run around, or style with a solid maxi for just the right splash of color! I came across these fun colorful handmade shoes and think they would transition perfectly into fall with a pair of boyfriend jeans! Can't wait to get a pair! 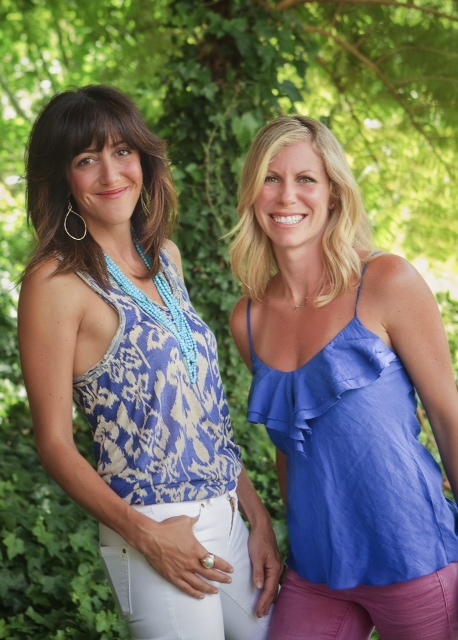 Friends, designers, and creators, Jennifer Samson and nicole Halpern, two veterans in the fashion industry, combined their experience in the luxury fashion market, lifestyle television, and the surf industry, to create a a product born out of a passion for chic and easy fashion. I had the pleasure of interviewing Jennifer Samson, co owner of The Painted Bird and ask her to share a little bit of history and vision. I hope you find them as fun and colorful as I do! 1. What made you take the plunge and start your own line? We have always talked about starting something...and when this opportunity came, we jumped! It was fate and now with a lot of hard work, Painted Bird has taken flight! 2. Can you tell me a little bit about the process and how the shoes are made? We select the colors and create the patterns amd then send that to our maufacturer in India. 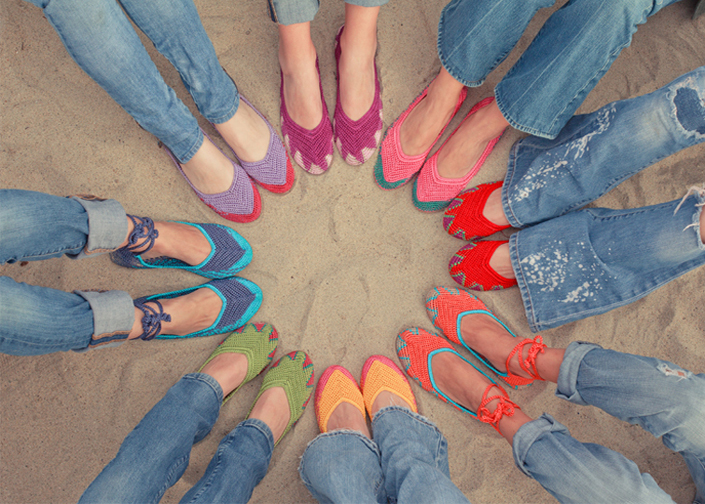 The crochet material is a silk/rayon thread that is hand dyed in chemical free dye and then each pair of Painted Bird shoes are crocheted by a group of women in India that we are proud to support! Soles are rubber, insole is leather. 3. Where can Painted Bird sandals be purchased? 4. Where do you see your brand in the next 5 years? and offer many different colors to satisfy the demand! 5. If someone wanted to keep up with your latest styles and whats happening, how can they do that? Take advantage of their Labor Day weekend sale Starting Friday and save 25% off your order thru Monday! Hurry on over and grab yourself a pair or two!